What’s common to eggplant (aka brinjal, aubergine), dark grapes, beetroot, plums, figs, cranberries, some cabbages? Their natural purple color. The purple color comes from anthocyanins which are naturally occuring chemicals in the plant. These are superlative antioxidants and help to fight cancer. There’s more research going on with anthocyanins and their health benefits. The purple foods are also good sources of vitamin C, and / or contain antioxidants like resveratrol, quercetin, etc. Make sure you eat at least one purple food every week. 0 Comments | Posted by admin at 4:16 am. Leave a comment! If you thought only excess salt increases blood pressure, read this. Too much caffeine, supplements, some medications among other things, can also increase blood pressure. 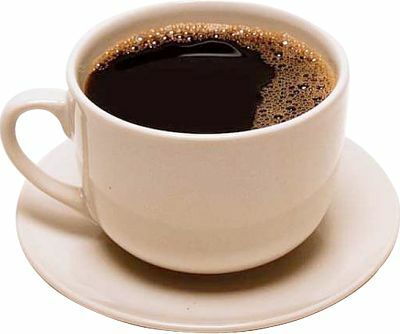 Caffeine (present in coffee, colas, energy drinks and to a small extent in tea), is likely to raise your blood pressure. It might not happen to everyone, but it’s important to cut back on the amount of coffee you drink. Colas and energy drinks are best avoided because they are unnecessary for your body and don’t do anything to boost your health. One way of testing whether or not caffeine increases your blood pressure is to check your pressure within 30 minutes of drinking a caffeinated beverage. 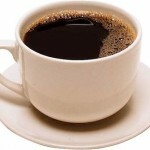 If your blood pressure increases by 5 to 10 points, you might be sensitive to caffeine induced blood pressure raise. Herbal supplements although considered safe because they are natural, can increase blood pressure in some people, or react with blood pressure medication. Do tell your doctor if you are on any herbal supplements when you go for a health check. Also, do not self medicate or give advise on medication to your friends, relatives and neighbours, unless you are a qualified physician. Medications that suit one person will not suit another. 0 Comments | Posted by admin at 6:30 am. Leave a comment! I didn’t expect to meet another Masterchef Australia personality so soon after meeting the world famous Gary & George, Masterchef’s celebrity judges, late last year. With good friends Usha, Anu and Pratibha, I was thrilled to watch Kate Bracks demonstrate 3 baked dishes. 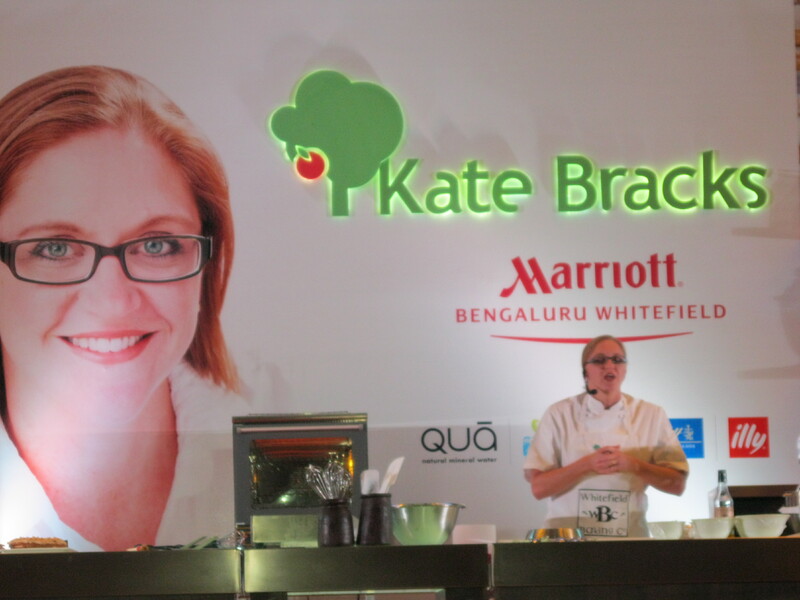 Yes, the same Kate Bracks who won the Masterchef Australia 2011. 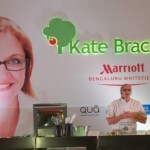 More than 300 Masterchef Australia fans gathered in the banquet hall of Marriott Hotel in Whitefield, Bangalore, to watch Kate Bracks in person. What a cheer she got when she walked into the hall!!! 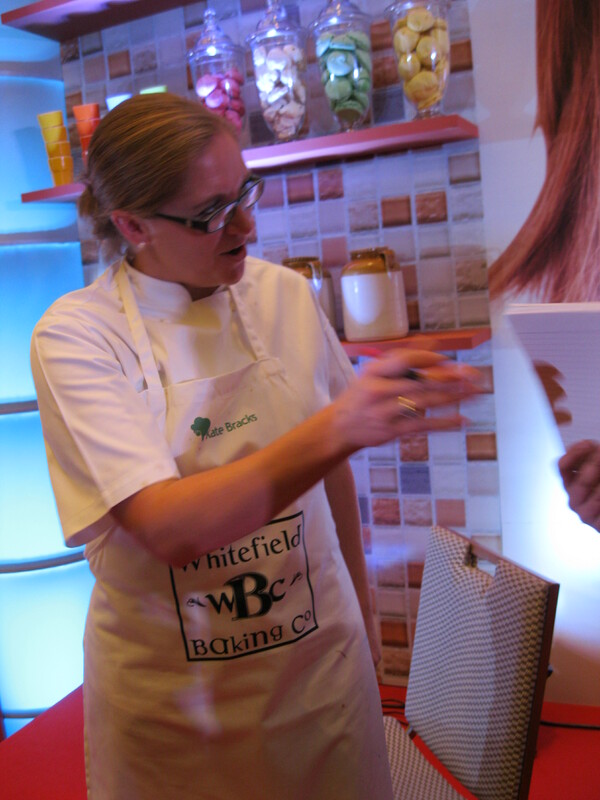 Her lively, energetic and entertaining way of showing us the 3 dishes had the audience in rapt attention. 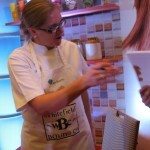 Kate also answered questions from the audience. She briefly narrated how she got into the Masterchef competition and how she places her family above all else in her life. Marriott generously gave away many prizes to the lucky winners (the four of us were not on that list), while everyone present got a taste of Kate’s delicious Retro Coffee Cake and Chocolate Hazelnut & Raspberry Muffins. Yum!! Enjoy the muffin, but don’t forget your exercise to burn it off!! 1 Comments | Posted by admin at 2:07 pm. 1 comment.